Woodstock has gone down as the most famous music festival in music history. The event lasted for only 72 hours but has left an imprint as a piece of pure Americana. Even though the three-day love fest is the epitome of the 1960s and tree-hugging hippies everywhere, it took place in 1969. The iconic gathering not only closed out the decade but also brought about change for many others. Keep reading to learn more about the funky mix of music and people. A sign posted in the wooded area of Bethel, New York during Woodstock in 1969. Ice Pop. 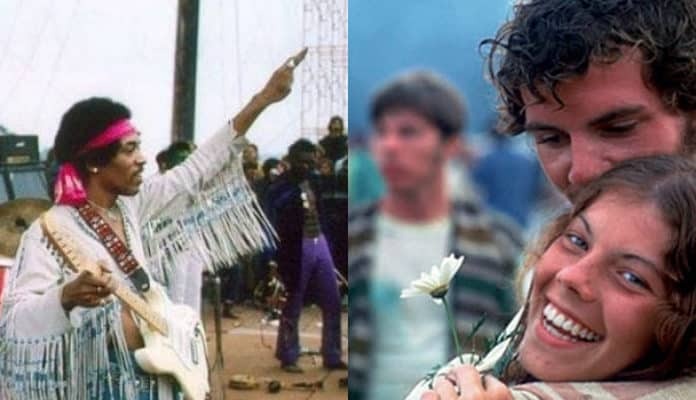 Initially promoted as “a weekend in the country,” the music festival was originally titled “An Aquarian Exposition, Three Days of Peace and Music.” The festival took on the title “Woodstock” due to the band that promoted it. It took place in upstate New York, in a town called Bethel.